Don’t tell anyone at Incredible Technologies that business in the amusement industry is slow! We’ve been mentioning that the arcade industry is on an upswing for a while now and where an arcade publisher is saying the same thing it only drives the point home. With the new additions to the company, they hope to get products to the market faster and from the way it sounds, add some new games to their line-up. Frankly, I’m happy to see this happening and I hope they can come up with some great ideas and games that help push this industry forward. When I heard the term ‘largest MMOG on the internet’ I first thought ‘World of Warcraft’ but I also noticed that it didn’t say MMORPG. So no, World of Warcraft is NOT coming to arcades but a game that boasts more than 50 million registered players (the 50 million is from China alone) is going to be making a coin-op debut (in Korea) and is known as ‘Audition’. 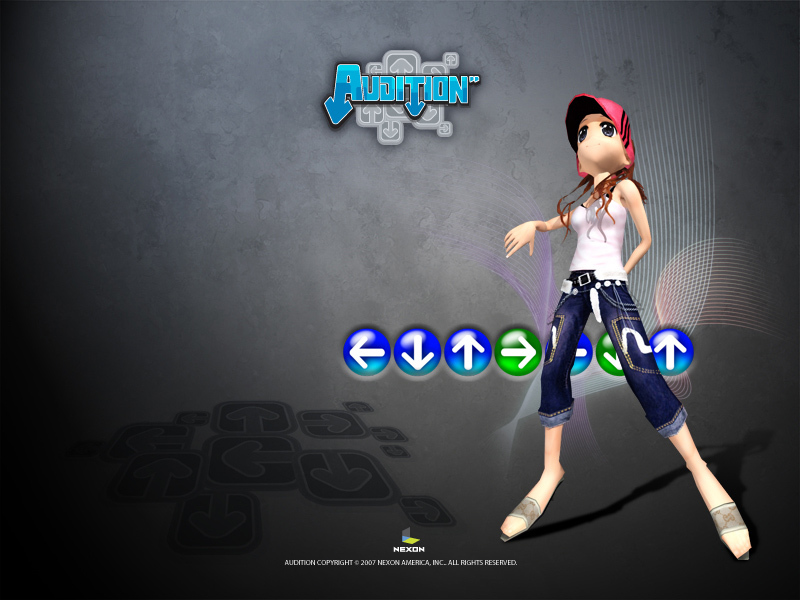 Audition has been available as a PC title for some time now but the crossover of the game into the coin-op industry poses an interesting addition to the Bemani-style games that are better in the arcade as it is. At G*STAR’07 the big announcement was made by T3 of the launch of ‘Audition Game’ (PC Hardware), an arcade version of the original game. It offers a two-player cabinet with rudimentary controls and a sleek design. The system incorporates the dance to the corresponding arrows on screen style, but now with the added feature of a Card Collector element. As seen with the Kid Vending system, this game dispenses special players’ cards for the collection of the all important clothing items – supported by the online feature players acquiring hairstyle, coats, pants, shoes and new avatars. Korea will see 2,000 units alone – and while no international distributor has picked the game up yet, it’s only a matter of time before they do and when that happens both DDR and Pump It Up are going to have some stiff competition on their hands.